Managing tasks can be cool too! Recently discovered – Producteev is an online task manager quite like posterous. Email your tasks to producteev and it gets updated on your task list. 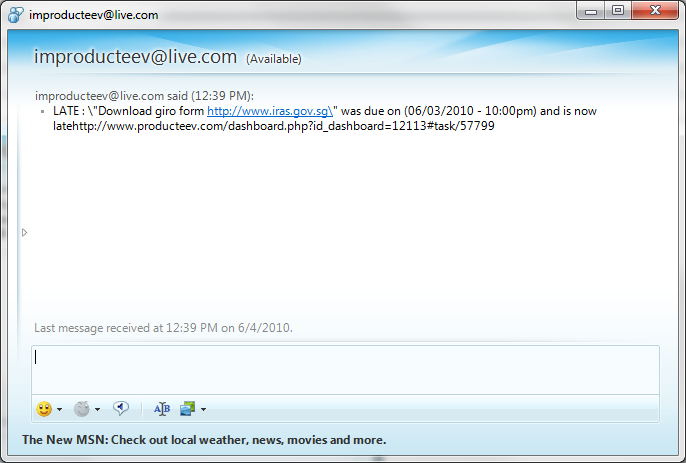 You can even add them to your MSN and it’ll send you a message if your task is overdue! It even has an iPhone app which syncs as long as you’re online… And you can have the software email you a reminder to do the task, or when it’s overdue.